BQB_Site's View: Bishop comes back to the AFL with the Chicago Rush after spending the 2005 CFL season as a backup in Toronto to Damon Allen. Bishop exploded on the AFL scene in 2005 leading the league in Rushing Yards and TD’s in his breakout season for the Grand Rapids Rampage. Though his team did not play as well as expected he showed that he is a star in the making. He now looks to help perennial power Chicago to an Arena Bowl victory. Bishop is a tremendously talented qb, who has traveled the main and off beaten paths in football. Originally he was drafted by the New England Patriots in 7th Round (1999). He spent 3 season with the Patriots and was used in a variety of ways by Bill Parcells. He excelled at the “Hail Mary” pass, because of his strong arm. 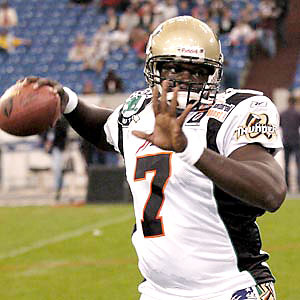 The Patriots allocated him to NFL Europe in 2001, where he was a solid player for the Frankfurt Galaxy. After being cut by the Patriots due to the team going with Tom Brady, he hooked on with Green Bay Packers in training camp. However he was cut at the end of training camp. He spent the next couple of seasons in the CFL with Toronto winning a Grey Cup as a backup 2004. At KSU he was a tremendous player in his two years leading the Wildcats to a 24 – 2 record and finishing 2nd in 1998 Heisman Balloting. He also was a Junior College All-American at Blinn Junior College. Bishop has the Arm, Speed, and Ability to play in any league. We see him continuing as a starter in the AFL and CFL with an eye toward returning to the NFL as a backup. Strengths: Strong Runner, Winner at Every Level, and Extremely Strong Arm. Weaknesses: Interceptions, Forcing Passes, and Finding 2nd or 3rd WR. 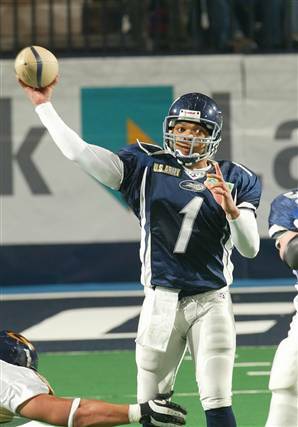 BQB_Site's View: Bonner enters the 2006 season as one of the greatest passers in Arena Football history. He is a sure fire Arena Hall of Fame player. He was a successful small school passer at Cal State – Northridge and the AFL gave him opportunity to show he could play pro ball. He has miraculously stayed with the Rattlers for over 13 years and has carved out one of the best careers in the league. 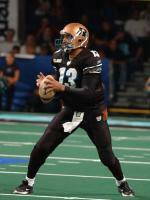 He has won 2 Arena Bowl Titles and is in the top 5 in completions, attempts, yards, and TD’s in AFL History. 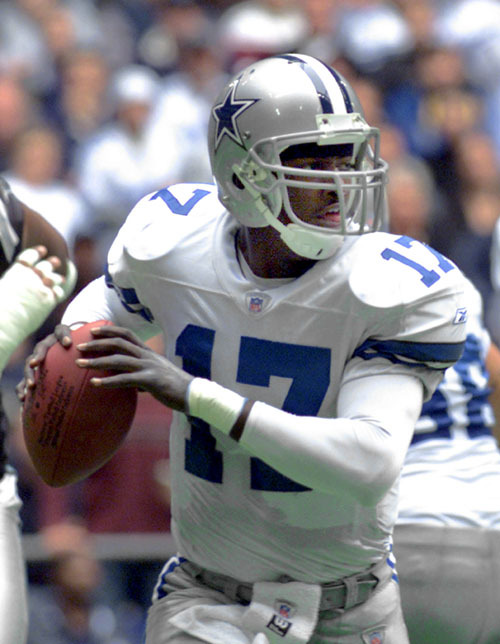 Bonner was given the opportunity to start by his former coach and former Dallas Cowboys QB Danny White. White saw the quick release and reading ability of Bonner early in his career. With his quick release Bonner was made for the indoor game. He is a pure passer, who is winding his career down and will be remembered for paving the way for all QB’s and a league that was once considered an anomaly. Many ask why the Bonner never got a chance in the NFL?, but he did as a backup in Atlanta, Arizona, and San Diego. He in fact was the 3rd String QB on the Falcons 1998 Super Bowl Team. Bonner has shown that if you have talent you can succeed outside the NFL. He will probably finish career with the Rattlers in the next two years and will move into some aspect of the AFL either commentating, Coaching or in the Front Office. Strengths: Quick Release, Reading Defenses and Strong Arm. 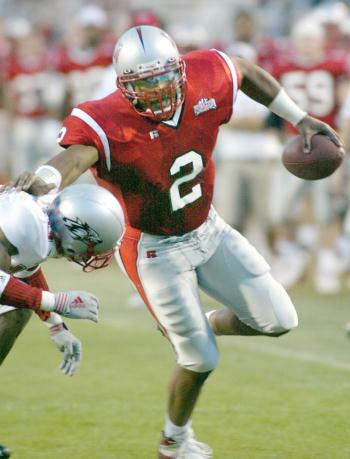 BQB_SITE's View: Rohan Davey recently re-sigend with the Arizona Cardinals for the 2nd time in 2005. He was brought in to help the team out after Kurt Warner and others sustained injuries. He had signed with them after surprisingly being cut by the Patriots at the end of training camp in 2005. We believe that he needs to have a legitimate chance to start in the NFL. He needs to find a situation in the NFL, CFL, or AFL where he is the designated starter. The most important things he needs are confidence and playing time. He spent his first couple of years with the Patriots and was their number two quarterback. He was selected in the 4th round by the Patriots in the 2002 NFL Draft. Davey had the misfortune of playing behind franchise QB Tom Brady, who has led the Patriots to 3 Super Bowl victories. Davey spent the summer of 2003 in NFL Europe leading the Berlin Thunder to the championship and showed that he could lead a team and be a “winner”. Davey battled Doug Flutie for the backup job losing to the “Hometown Hero”. It was probably best for Davey to leave the Patriots, because Brady was not going anywhere. Davey could have kept collecting rings, but we think he wants more. Davey is a late bloomer, who made the most of his opportunity as a full-time starter for the first time in his career as a senior at LSU. He is the only quarterback in school history to throw for over 3,000 yards in a season and he is also the only passer in LSU annals to throw for over 300 yards in three consecutive games. Despite only 12 starts, he ranks fifth in school history with 29 touchdown passes and sixth with 4,415 yards passing. He completed 286 of 478 passes (59.8 percent), both ranking seventh on LSU's all-time record list. Davey is still learning the position of QB and the game of football. Davey is a native of Jamaica and did not play much in High School or College. He has great potential, which was displayed during the Senior Bowl in 2002..
BQB_SITE's View: McPherson currently is the 3rd QB and is a developmental type on the Saints Roster. He is in a good situation to learn from Aaron Brooks and will probably get a chance to play in 2006 due to the disappointment of Todd Bouman and Brooks. He is a tremendous athlete that was a two sport star in High School (Bradenton, FL) where he was named “Mr. Florida” in football and basketball. He was a heralded recruit to Florida State and was supposed to be the next Charlie Ward playing football and basketball. His career at FSU was rocky at best, as he battle Chris Rix on the field and had gambling/financial problems off the field. McPherson got his chance to play at FSU in 2002 and displayed his athletic ability with his whip like arm and speedy quarterback draw runs. He however did not last the whole season and dismissed from school for check fraud and gambling allegations. Though he plead guilty a cloud followed him as he tried unsuccessfully to transfer to Murray State. With no takers in the NCAA, he took his talent to the Indiana Firebirds of the Arena Football League. In the AFL he was named rookie of the year and was in the running for MVP displaying his eye-popping skills and showing he could lead a team and stay out of trouble. We see him as a wild card type player that has the skills of a Michael Vick, but he will have to prove his problems from college are behind him. He has the kind of athleticism rarely found at the position, so coaches will take a chance on him just like the Saints and the AFL. He will need to learn the position probably in NFL Europe and in camp before he can be considered a solid pro, but he has great potential. Strengths: Mobile QB, Strong Arm, and Rare Athlete. Weaknesses: Off-Field Issues, Inexperience, and Throws into Coverage. BQB-Site's View: Shaun King signed with the Indianapolis Colts after the Detroit Lions signed and cut him in the 2005 off season. He is trying to get back into the NFL after taking off a year. He last played for the Arizona Cardinals in 2004. He started a couple games, but never has lived up to his early success in Tampa Bay. He has had an interesting career with the Bucs since being drafted in the 2nd Round of the QB heavy 1999 draft. 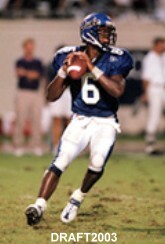 When King left Tulane in 1999, he was the most decorated QB in school history. He led to the Green Wave to an almost perfect season in his senior year and had a strong showing in post-season workouts. Many scouts however were not high on King, because of his height. Was forced into action his rookie season when starting QB Trent Dilfer broke his clavicle in week 11. Led the Bucs to a 4-1 record over the next five weeks while completing 61 percent of his passes. Helped the Bucs set the team completion record of 60 percent during the 1999 season . 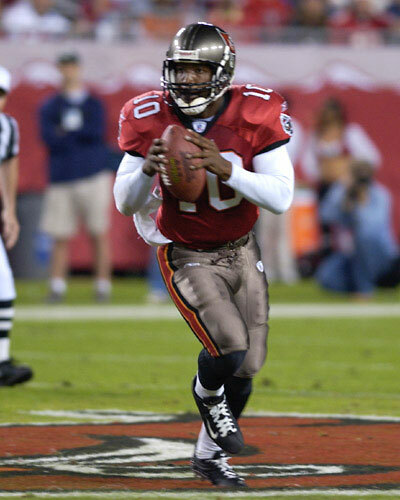 King proved to be a capable passer, who guided the Bucs to 14 wins over the 1999-2000 regular seasons and an appearance in the NFC Championship Game (1999). He is one of six rookie quarterbacks to start a playoff game since the 1970 NFL-AFL merger and one of only two rookies (Pat Haden, 1976) to win a playoff contest. He has shown poise in the pocket and great instincts on the run. After his rookie year he suffered from a sophomore jinx and the Bucs signed Brad Johnson and Rob Johnson to take over the QB position. King has remained on the Bucs roster, but has been buried on the depth chart. He got one start in 2002, but was ineffective. Has combined for 30 touchdowns (25 throwing and five running) in only 25 career games. King is a steady decision maker who avoids making the killer mistake. Coaches like his game management, but he is smaller than ideal and doesn't have a huge arm. Strengths: Good Decision Maker, Very Mobile, Good Leader, and "Heady QB". Weaknesses: Holds the ball too long, Interceptions, and Non-Ideal QB Size (tipped passes). BQB_Site's View:Raymond Philyaw seems to be following in the footsteps of Sheddrick Bonner, in that he will probably be a career AFL Quarterback. He is a talented player from a smaller school, who has found his niche in the AFL. He has speed, a good arm, and can make the quick reads that are required in Arena Football. In 2006, he joins the high powered Grand Rapids Rampage offense where he will be used similarly to the way Michael Bishop played in 2005. The Rampage will try to get Philyaw on the “edge” of the offense using him on draws and rolling him out. It will be interesting to see if he is as good as a runner as Bishop, who broke several rushing records. 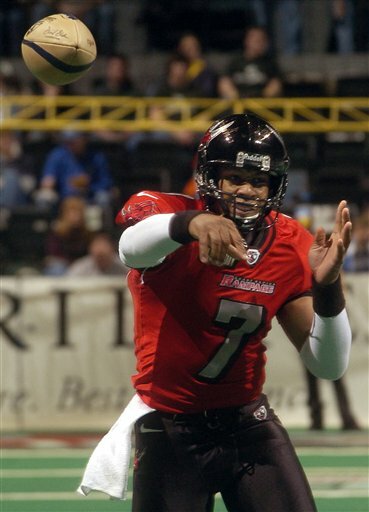 Philyaw showed that he was a leadership type quarterback leading Chicago to the 2005 Arena Bowl, where they lost to Denver in a shootout. Philyaw has bounce around the league having played in Albany – 2000 and 2001, Indiana – 2002 and 2003, Chicago – 2004 and 2005. BQB_Site does not see Philyaw making the transition to the NFL, because of his success in the AFL and because of his size. He is not the prototypical QB of the NFL, but we believe he will have continued success in the AFL and hopefully he will find a long term team in that league. BQB_Site’s View: D. Bryant was a player that went undrafted in the 2005 NFL Draft. He is now the starting QB for the AFL2 in Albany. Bryant is another tremendous scrambling QB that needs to learn the game and get snaps wherever he can. It is good that he is in AFL2, but he also needs to look at NFL Europe, the CFL, or AFL to make NFL teams take notice. In College at Iowa Wesleyan, Bryant had a rough senior campaign. He was declared ineligible at Duke and then played in just one game for the Tigers, passing for 313 yards and five TD’s in just one-half of action against Peru State. The following week the NAIA declared him ineligible due to rule that states a transfer athlete that is ineligible at another program must sit out two-semesters before officially playing for his new team. The key ingredient in this whole equation is that Bryant's transcripts were clear, and did not indicate that he was academically ineligible, but Mid-States Conference opponents did not seem interested in having the athletic transfer take the field against them. His one-game senior campaign has not deterred scouts from reviewing past game film or looking to see more of him. Bryant was always a gifted athlete, while at Duke, but seemed frustrated by the offensive system and at times would force the issue when trying to make plays. He has above-average arm strength and the mobility to get outside the pocket and make plays with his arm or legs. He had an impressive summer scrimmage at Duke during his junior year, completing 13-of-28 passes for 134 yards and two touchdowns. Bryant went on to pass for 2,454 yards and 11 touchdowns, but his 17 interceptions were at times costly. The 6-foot-2 1/2, 215-pound signal caller has 4.55 range speed with 15 reps of 225 pounds and a 38" vertical. Bryant participated in the NFL Combine 2005. Weaknesses: Experience Level, Forces Throw, Interceptions, and Needs to Let Plays Develop. BQB_Site’s View: Currently Quincy Carter’s Career is in trouble, because of off the field issues (Drugs) and inconsistency. He was signed by the New York Jets to help out while injured QB Chad Pennington healed, but when given a chance he could not move the team or help them win. He displayed his usual problems turnovers at bad times in the game. At the end of the 2004 season, NY declined to re-sign him and no other NFL team signed him. BQB_Site believes Carter has talent, but he must prove to NFL personnel men that his alleged drug violations in Dallas are behind him. He already was a participant in the substance abuse program and many times you don’t get another chance. He was talented enough in the past to lead the Cowboys to the playoffs, but he might need to consider going to NFL Europe, the CFL, or AFL to re-establish himself. In Dallas, Carter had started since 2001, but was battling Chad Hutchinson for playing time. Carter did not perform any worse than Hutchinson, but he was constantly in Dallas’ doghouse. With Coach Bill Parcells taking over in 2003, he was back starting again, but you always got the sense the coach didn’t believe in him. Carter ended up the start throughout the 2003 season and in the playoffs, but was cut in training camp 2004, for an alleged drug problems. In College, Carter had a good career at Georgia, but struggle with injuries and playing time at the end of his career. Carter first came to the University of Georgia as an overage freshman. Carter had spent two years out of High School with trying to be an outfielder in the Chicago Cubs organization. He originally had signed with Georgia Tech, but decided to pursue pro baseball. When he arrived at Georgia, Carter became an instant starter and was highly touted. In his sophomore season he struggled with leg injuries and coaches lost confidence in him. In a surprise move Carter entered the NFL draft, even though he was rated as a late round pick at best. Most scouts had said he needed another year to learn the game. The Cowboys surprised everyone and selected him with their first overall pick in the second round. Carter was handed the starting job in training camp after Tony Banks was let go. Carter had a decent rookie season, even flashing brilliance at the end of the season, but he struggled with a hamstring injury that cost him at six games. Strengths: Good Size, Strong arm, Very Mobile, and Ability to throw downfield. Weaknesses: Reading Defenses, Turnovers, Looks to Run Too Quickly, and Game Experience. BQB_Site's View:Jason Thomas is a tremendously gifted QB. He is a Big Lefty that needs to get reps at the position. He has always been viewed as an “Athlete” playing the position, but he has all the tools to be a great passer. Thomas went undrafted in the 2003 NFL Draft, but got looks as a TE with the Atlanta Falcons, New York Jets, and Arizona Cardinals. He has the size and speed to be a good TE, but his heart is at the quarterback position. It is good that he is now a starter in AFL2 where he can get needed reps. He has always had talent since coming out of the L.A. area, but could never put it together. At USC he was trapped behind Carson Palmer and got frustrated by lack of playing time and being asked to consider another position. Thomas ended up transferring to UNLV and had an up and down career, marked by injury and inconsistency. In 2002 he started for his third consecutive season and was finally 100 percent healthy after suffering through shoulder surgery in 2001. Thomas was the first QB in school history to rush for 1,000 yards. Chose UNLV over such programs as Nebraska, Miami, Syracuse and Kansas State after transferring from USC. He redshirted for one year at Southern California while recovering from injury (knee) sustained in High School. Brings pro-like size and strength to the quarterback position, yet is very nimble and scrambles with the ball well. Has thrown a football at least 70 yards in the air . Also an accomplished basketball player who flirted with playing for the Runnin’ Rebels before his injury struggles. Strengths: Prototypical Size, Extremely Strong arm, and Ability to throw downfield.